An epic police procedural from the author of The Cartel, set against the backdrop of racial tensions between the cops and community in present day Harlem, about a group of renegade New York detectives led by antihero Denny Malone. The Force recalls Sidney Lumet’s great New York police films (Serpico, Prince of the City) and makes their agonies almost quaint by comparison. Winslow’s novel takes place in 2017, but he doesn’t frame it as a time of good cops and bad cops, black or white. He paints a realistic tableau of police privilege, pragmatism, racial bluntness, street smarts, love of partners and loyalty to what they call the Job ... The Force has a lot of exposition to get through in its initial pages. Denny’s background is kept deliberately incomplete, because key parts of it are needed for the book’s cinematic denouement. There are many characters and locations and illicit police habits to introduce. But the pace is kept up by the Winslow way with words, which almost entirely defies being quoted here, either because of the slang (Elmore Leonard league) or because of the everyday obscenities that lace every funny line. It’s rare for a writer to produce two career-defining masterpieces back-to-back, but that’s exactly what Winslow has done by following The Cartel (2015) with The Force. 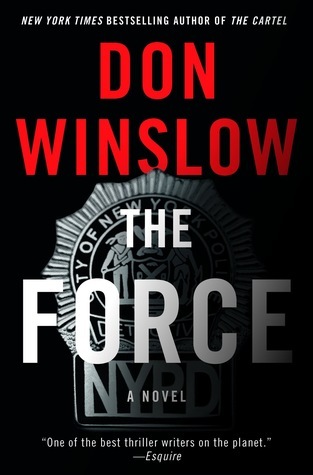 In an era rife with racially motivated police brutality, Winslow has created what will likely become our quintessential cop novel, looking both at what cops do right and wrong with clear-eyed realism and passionate humanity ... Grand in scope and equally grand in execution. Trust me when I tell you that you gotta read this book not because it's beautiful (it isn't) and not because Winslow is a virtuoso stylist (he isn't) and not because it's one of those Important Books that everyone will be talking about (they will), but because it is just fantastic. Like can't-put-it-down, can't-get-the-voices-out-of-your-head fantastic. An instant classic, an epic, a goddamn Wagner opera with a full cast and buckets of blood and smack and Jameson whiskey ... Winslow is good, no doubt. He's smart enough to be tricky without looking like he's being tricky. 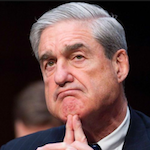 He's clever enough to get away with what is essentially a double prologue (in a universe where, most times, one is too many), but his best trick is a buried, pulsing, live-wire second plot that hums just beneath the surface of the first: The Force is basically Game of Thrones without the dragons. The Wars of the Roses played out with New York City cops and robbers...It's a weird thing when you first realize it, brilliant and almost subversive as you watch it play out across the pages. Amid all the drugs and guns and skyscrapers and cop bars, there's this shimmering image of an ancient tale hovering just at the edge of things. What did you think of The Force?